Hollywood, California, December 6, 2016	(Newswire.com) - The Church of Scientology Celebrity Centre presented Christmas Stories XXIV on December 2 and 3. The cast included Jenna Elfman, Michael Pena, Erika Christensen, Nancy Cartwright, Marisol Nichols, Jaime Aymerich, Jason Dohring, Jennifer Aspen and Michelle Stafford performing skits and Christmas stories to benefit Hollywood Police Department programs for at-risk youth. Proceeds also support the Department’s annual Christmas party and toy giveaway for underserved children. Performed on a set evoking a 1930s radio show, Christmas Stories, now in its 24th year, showcases traditional and original stories and songs. 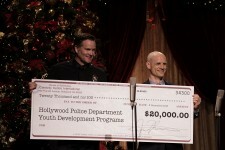 The annual event has raised more than $380,000 for Hollywood PD community programs since 1993. The Hollywood police youth programs are hands-on activities of police department personnel that direct youth into educational, recreational and athletics activities as an alternative to gangs and train them on leadership and life skills. Christmas Stories also funds the Hollywood Police Support Association annual Christmas party for children, organized in cooperation with the Hollywood community and city public schools. 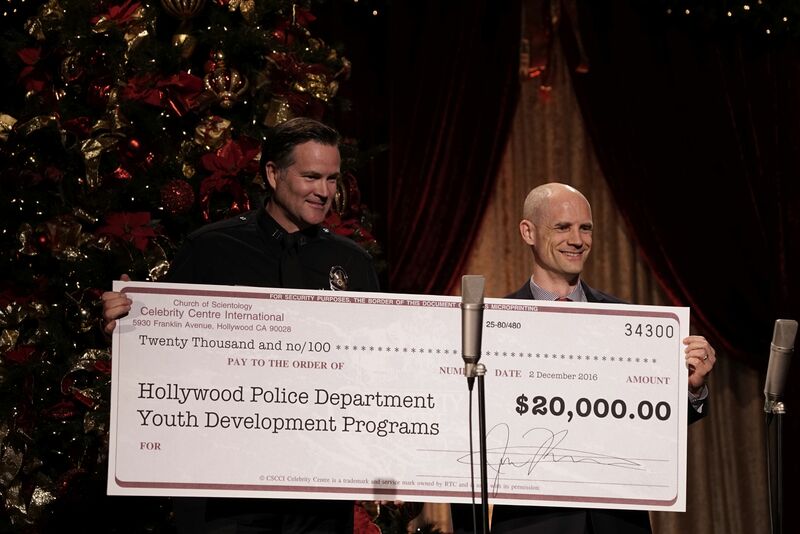 LAPD Hollywood Division Area Commander Captain Cory Palka stepped to the stage to accept a $20,000 check from Celebrity Centre Vice President Greg LaClaire.